Neverending fun is guaranteed with our BMX Games! 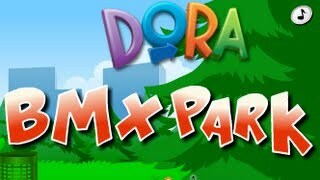 The best bmx free games are waiting for you at Miniplay, so 3... 2... 1... play! 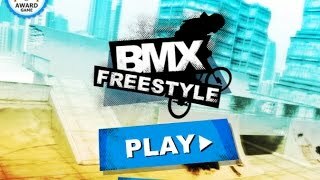 Do the most amazing tricks on your BMX bike! Don't be scared to jump from the most dangerous ramps! Remember that, the longer your stunts, the more points you'll get in order to unlock new bikes, areas and characters. 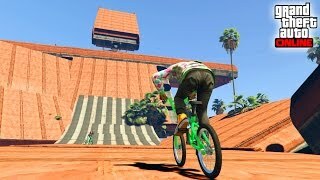 Ride your BMX and finish the tracks doing incredible tricks. There are two modes choose the one you prefer. Our friend Rigby has turned into a BMX! Help him tackle the obstacles and be back to normal! Rid a BMX bike and collect as many coins as you can while doing lots of tricks. Break the speed world record on land and have fun! Help Mario ride his amazing BMX and try to reach the goal without falling. Collect the coins and try to keep your balance! New levels available! 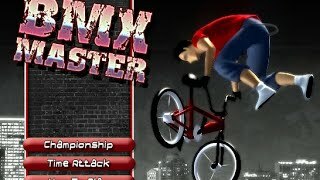 In this BMX game you will have to gather all the stars you find while going through the tracks and performing the most incredible stunts with your bicycle. Face these complex BMX tracks. Dodge the obstacles, perform great stunts and gather as many stars as you can. Beating all kinds of stages is no challenge for Mario anymore, since he's been practising for ages. 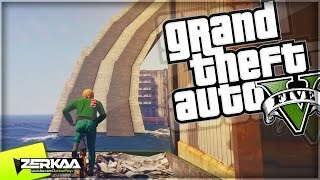 That's why he has decided to complete each level on a BMX bike dodging the obstacles is even more risky that way! Run away from a tornado on a BMX bicycle. 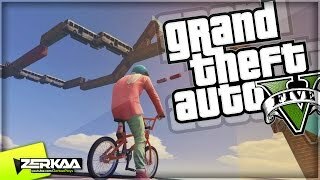 Go along the tracks and perform all kinds of stunts to get a higher score. 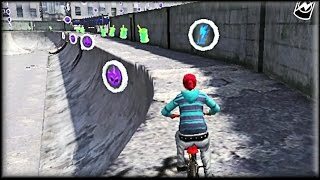 Go through the mountains on your BMX bike and collect all the gems in each level. Do all kinds of tricks and get the highest score. Cross the mountains on your BMX bike and do all kinds of tricks. Get the highest score! Ride your BMX on the streets and do all kinds of tricks. Get the highest score! Take part in this BMX championship and prove you're the best on a half-pipe. Learn the moves by heart and do all kinds of tricks! Choose a track and do incredible tricks on your bike, such as backflip, superman or tailwhip. 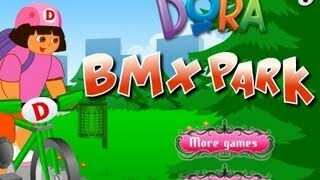 Enjoy this BMX game by ColaCao! Get a free sample of new Turbo ColaCao and a chance to win a Mirraco BMX bicycle each day! Ride your BMX on Hawaiian islands and do all kinds of tricks. Collect the masks in each level. Pedal and explore each stage look for the keys needed to unlock new areas. Enjoy this long-awaited sequel! Complete the levels on your BMX and get the highest score. 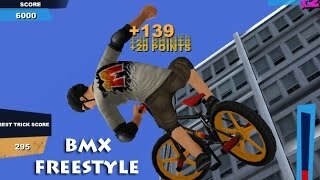 Do some impressive stunts and defy gravity in this BMX game. There are ramps all over the city so you can jump and enjoy your BMX motorcycle. Finish every track on your BMX. Collect as many stars as you can and do incredible tricks! 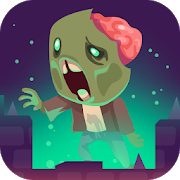 New levels will be updated regularly. Complete every level on your BMX. Do the best stunts and jumps and get the highest score! Control a BMX around a inside track and use the ramps to do tricks such as tailwhip or superman.